Panelists so far are Benjamin Frosch and Gary Matzner, Esq. Online Registration page will be posted soon. Jan 13, 2013 | 6:30 p.m.
call (800) 321-3437 or e-mail bsinger@drif.org. Jack Ziffer, Ph.D., M.D., has been named the first CEO of Baptist Health Medical Group, which now has more than 120 physicians in multiple specialties, integrated with Baptist Health South Florida. The group includes cardiac and thoracic surgeons, neurosurgeons, orthopedic surgeons and sports medicine specialists, physical medicine specialists, general and robotic surgeons, hospitalists, primary care physicians and more. A radiologist and nuclear medicine physician for more than 25 years, Dr. Ziffer is a long-standing member of Baptist Health. Jupiter Medical Center was honored with an "A" Hospital Safety Score byThe Leapfrog Group, an independent national nonprofit organization run by employers and other large purchasers of health benefits. The A score was awarded in the latest update to the Hospital Safety ScoreSM, the A, B, C, D or F scores assigned to U.S. hospitals based on preventable medical errors, injuries accidents, and infections. The Hospital Safety Score was compiled under the guidance of the nation's leading experts on patient safety and is designed to give the public information they can use to protect themselves and their families. Jupiter Medical Center is led by John D. Couris, President and Chief Executive Officer. Palmetto General Hospital recently announced the appointment of Ana Gonzalez-Fajardo as the new Chief Human Resources Officer. With over 17 years of experience in Human Resources, Gonzalez-Fajardo was promoted from Human Resources Director and will oversee Human Resources along with labor relations and benefits. The Hospital has also just recently appointed Kathleen Guido as Chief Nursing Officer. Click HERE to read more. Mednax bought a maternal-fetal medicine physician practice in Lithia Springs, Ga. in its thirteenth acquisition of the year. The Sunrise-based pediatric and anesthesiology practice ownership company (NYSE: MD) didn't announce the terms of the deal for Raj K. Bansal, M.D., P.C., but said it was all cash. It will join the company's Pediatrix Medical Group division. 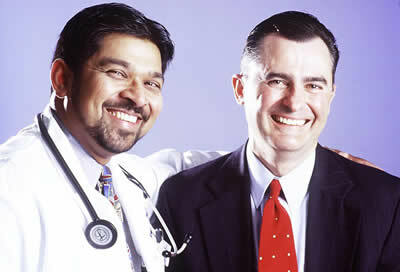 Mednax is led by CEO, Roger J. Medel, M.D.